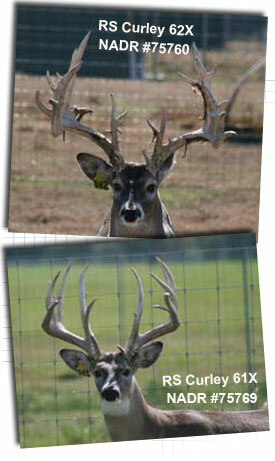 RS Deer & Cattle Ranch is one of the best state-of-the-art Whitetail Deer facilities in Texas. Using natural & artificial breeding, RS Deer & Cattle Ranch is achieving the most elusive prize in the deer industry - The Perfect Typical. 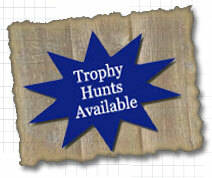 & High End Beef-Type Registered Brahman and Hereford Cattle. 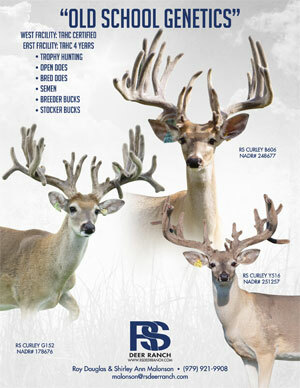 RS Deer & Cattle Ranch also diversifies using natural resources for Trophy Hunting and Nature tours. 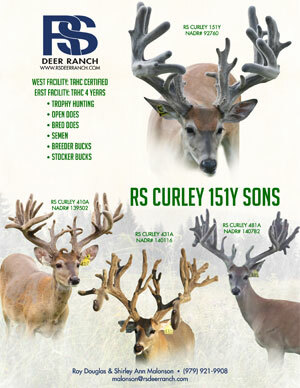 If you are interested in Breeding Whitetail Deer, Brahmans, Herefords, an Outstanding Bull, or enhancing your cattle and hunting operation, RS Deer & Cattle Ranch is your go to source. 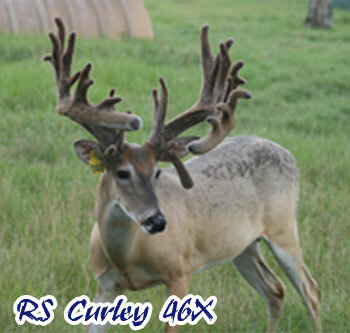 RS Deer & Cattle Ranch is located in the gentle rolling hills of Waller County less than one hour from downtown Houston and College Station, Texas. Visitors are Always Welcome by Appointment Only.